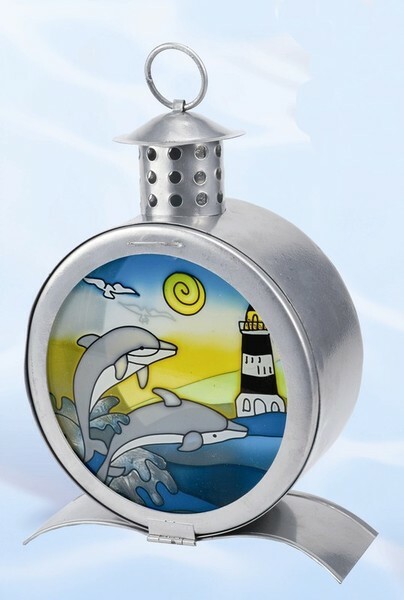 This beautiful Lighthouse & Dolphin Candle Lamp is made of iron and stain glass with a door that opens from the front. The detail and hand craftsmanship is unparalleled. It is intricately detailed and distinctive to add beauty to your home or office.